Ghost, Satan, Spirits, etc. has become an ingrained myth for most people, especially those who believe in the unseen world. 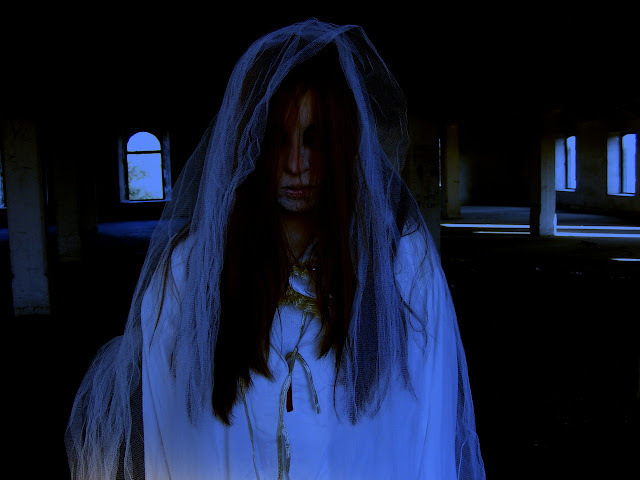 Some Indonesians describe ghosts with various variations in different regions, such as genderuwo from Java, kuyang from Kalimantan, leak from Bali. All regions have their own stories, but again it's only from a story that has not been universally proven to its original existence.If we use logic to explain phenomenon of ghosts, we can't, but there are several reasons that may make us doubt the existence of ghosts and other invisible creatures. Since the first organism on earth, many of the living things have become extinct, 99% of Earth's life has become extinct from one-celled creatures to complex organisms such as animals and humans since 4 billion years ago. If a ghost exists, it should be up to now many dinosaur ghosts or ghosts of early humans who appeared. This is very strange, why only humans become ghosts, do not all beings have souls or spirits. If the spirit really exists there should be someone who sees the ghosts of other living things, such as the spirited chicken spirit that haunts as a featherless chicken ghost or a headless chicken. Death by science is the cessation of the body system. In this condition the body can no longer function like the five senses, the brain, the body cell system also does not work. Then how the ghost can live? how he can think to haunt people when the brain is no longer usable. How can ghosts see? whereas the five senses are not working. Out of 10 people maybe only 1 person claimed to have seen a ghost. They told me as if they really saw a ghost. But why most people can not or hard to see ghosts ?. In the medical world, ghosts are often associated with mental anomalies called Schizophrenia, where people who develop this disease will easily bring hallucinations in the brain. If you often see ghosts maybe you can try to check into the pskiater for consultation and therapy. If so, how do they know when they act at night, especially at 1 to 3? for example we change the time at 7 pm to 1 pm whether they will appear earlier? This is very strange. Human beings are afraid of not being able to see in the dark. Perhaps this is the reason why ghost hallucinations often appear, because our brains panic and project the creepy creatures that it considers to be in the dark. Perhaps this statement is rarely thought of by people. Usually, they see a spirit or a ghost wearing clothes in accordance with the clothes he wore last time in death. For example, pocong use shroud costume shroud. Vampires using suits usually come from the bodies of the rich or Christians. Do his clothes also have spirits? instead of lifeless inanimate objects. Supposedly if the pure spirit of a living being, his ghost is a naked person. Right? Science is a universal thing that anyone can prove. Anything that can not be explained by science is considered a story and a delusion. Unfortunately, up to now ghosts, spirits and the like cannot be explained by science. When you can prove ghosts with universally acceptable scientific theory you can change the world and get a Nobel like the previous scientists that made you able to read this post.